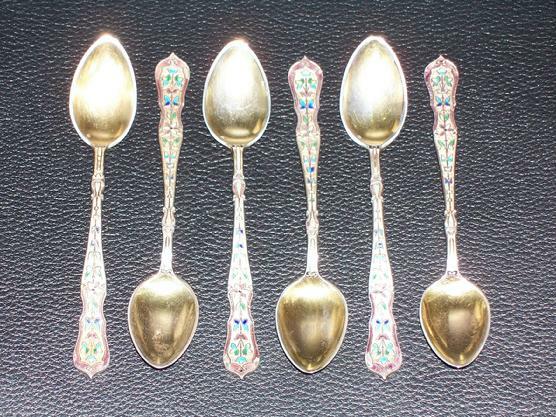 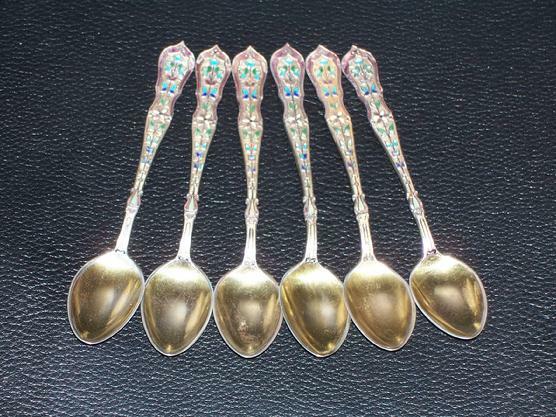 Six Russian Imperial silver enamel spoons made by famous Ivan Khlebnikov. 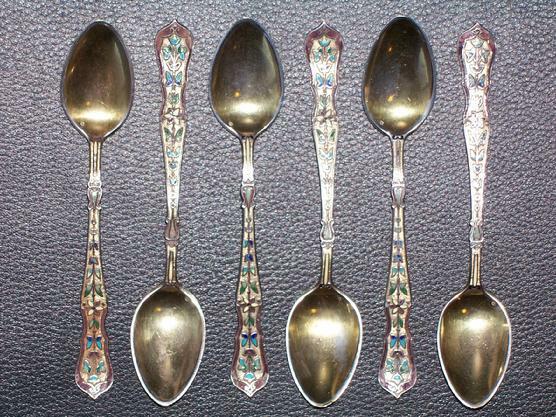 St. Petersburg, circa 1890-s. 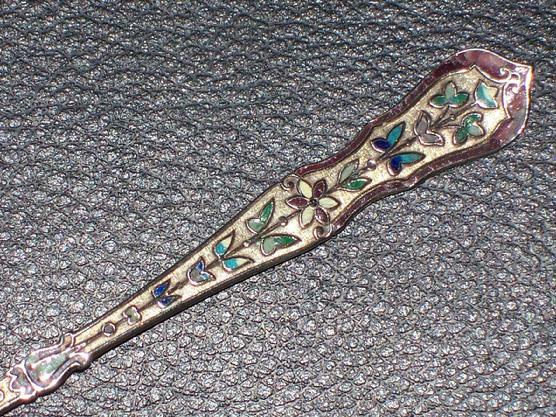 The handle is covered with a flowers enamel. 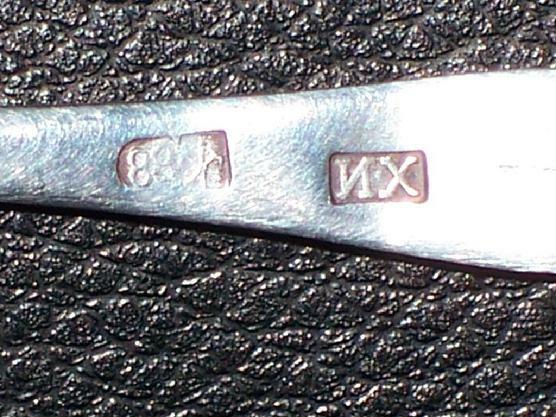 Marked with the 88 silver standard,"I.X" for Ivan Khlebnikov.Size: 4.5" (11 cm). 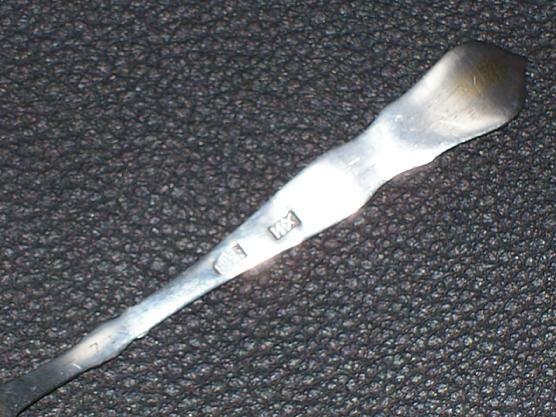 Good condition,some minor enamel loss. 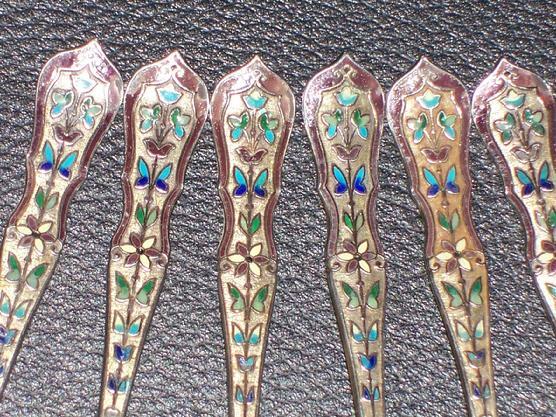 For info please look at the pictures.